It seems like only yesterday, but it has actually been 30 years since the Hyundai Pony arrived on the scene. Back then, Hyundai were viewed as a bargain basement brand, but they have come a long way since then. Their lineup now contains just about every type of vehicle a driver could wish for. If you are still somewhat stuck in the past with your views of the Hyundai brand, then read on for a few little surprises. While most people turn to the Jeep when looking for some off-roading adventure, the Hyundai Santa Fe might just also fit that bill. The addition of hill descent control, differential lock and all-wheel drive, the Santa Fe is ready to tackle steep inclines and muddy ruts just as easily as the open road. Sure, not everyone wants to take their vehicle into the woods, but the ability of the Santa Fe to handle less than perfect conditions makes it a great choice for drivers that live in areas with less than pleasant winter driving conditions. Hyundai has put a lot of stock in providing drivers with a ton of features on their standard models, without them having to fork over a fortune. 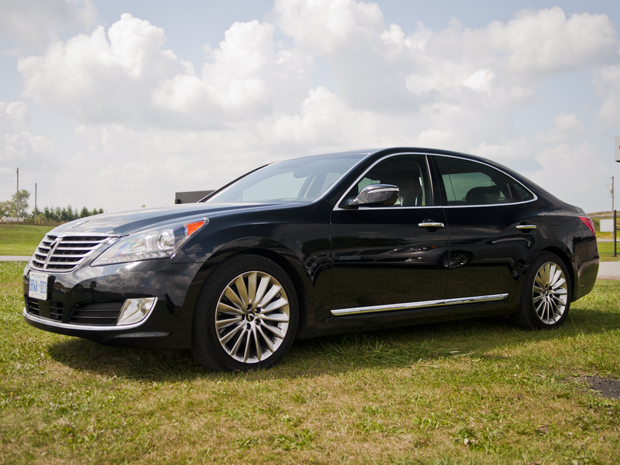 A perfect example of that can be found in the luxurious Hyundai Equus, which is actually one of the few cars that may require you to read the owner’s manual before you get behind the wheel. This is a car that is filled with all the latest technology, not to mention a laundry list of creature comforts that might make you want to spend some time in there, even after your drive is over. They may not yet be at the level of the Germans when it comes to luxury cars, but Hyundai is certainly making them look in their rearview. When the Hyundai Pony first took to the streets, the furthest thing from anyone’s mind was speed. It is exactly speed that comes to mind when you first set eyes on the Genesis Coupe. With a 3.8L V6 engine under the hood, this is a car that is built with both power and speed in mind. This one definitely adds a real sporty touch to the Hyundai lineup, but it’s not the only one that can lay claim to that crown. While not quite falling into the hot hatch category, the sporty Hyundai Veloster comes pretty darn close. The 201-horsepower engine that drives the Veloster forward gives the car a zip that might not be instantly apparent given its heavy looking body. Another thing that you might miss when looking at the Veloster is the third door that gives passengers access to the rear seating.